The Acoustic Centre and House Music have had a long association with Brian May... the Brit guitar legend has been a loyal customer of the Acoustic Centre for many years, even going so far as to cut the ribbon for the grand opening of their London City branch. The store - along with the Bass Centre - was also a major supplier of kit for the ling-running West End production of hit Queen musical "We Will Rock You". More prominently, Brian and his long serving guitar tech, Pete Malandrone have been active in an ongoing collaboration with House Music under the Brian May Guitars moniker, a hugely successful vehicle for a range of cost-conscious, production replicas of Brian's "Red Special", the iconic instrument he constructed with his father more than 50 years ago that has since become as celebrated as the great man himself. 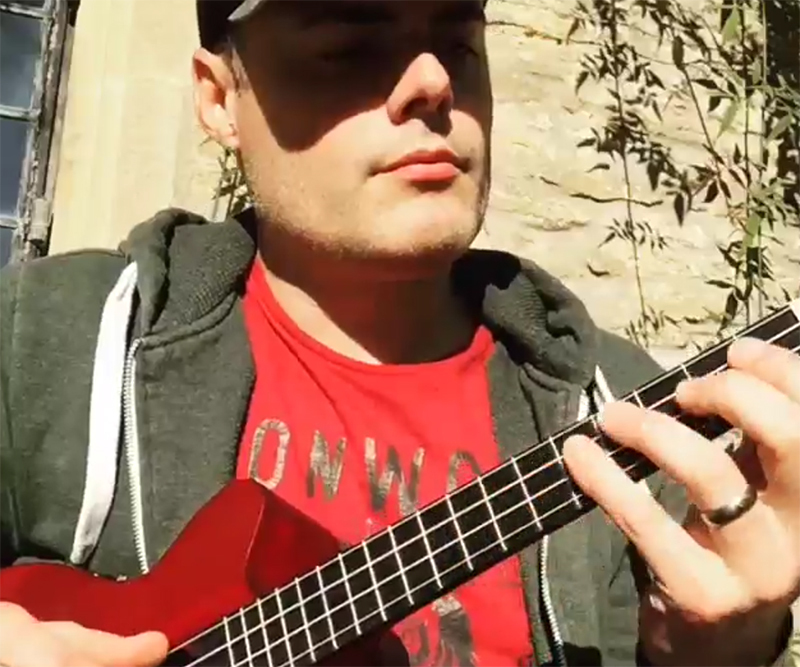 In addition to the super affordable "Special" model, the premium quality "Super", the Brian May Bass and the Rhapsody electro-acoustic, Brian has now contributed to the design of this unique tenor Ukulele. Sporting the distinctive, cool double cutaway curves of the iconic Red Special, the Saple/Spruce BM Uke is finished in eye-catching Antique Cherry, making it a perfect partner for the award-winning and best selling Brian May Special, as well as a fantastic, travel-ready instrument in its own right. With an under-saddle pickup and fully featured Fishman on-board preamp, the BMG Uke is equally at home on a big stage or in an intimate, acoustic environment. Designed specifically for the size, shape and sound of the ukulele, the Fishman KULA system combines an under-saddle pickup with a fully-featured on-board active preamp.